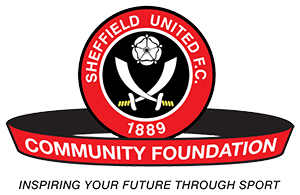 Our project will be focused on addressing the main reasons behind why children and young people in Sheffield carry knives, those being the acquisition of status and fear of crime or being bullied. We will use a mixture of diversionary activities and educational interventions to get our key messages across to the young people we engage with. The dangers associated with carrying a knife. Potential repercussions from carrying and using a knife. The role of the police and other authorities. That carrying a knife increases rather than decreases their risk of victimization. Our education interventions will be designed and delivered by partner organisation Youth Achieve Real Development (YARD). Informative, hard hitting Workshops will be delivered both in schools and wider community settings to ensure we reach as wide an audience as possible. As part of these interventions we will utilise guest speakers with direct experience of knife crime. Through our existing programmes such as Kicks our coaches have built up a good relationship and level of trust with the young people in many of the areas we will be targeting with this funding and this will be crucial in the project’s success. Our diversionary activity will include provision of free community sports activities at times and in places where young people may be at risk from knife crime related behaviours. These outreach sessions will also feature specific knife crime workshops as well as training about the consequences of knife crime. We will work in partnership with South Yorkshire Police to facilitate a campaign that includes a number of knife amnesties.